Of the thousands who have seen my information, only a small percentage have ever actually followed up and become dual citizens. But among those who have acted, I can recount many stories of how this one step changed their lives for the better. There are good reasons why citizens of many countries should, and indeed, have a right to acquire a second citizenship…particularly in a new country where taxes are reasonable and freedom is greater. That new passport can expand your legal rights, allowing freer world travel with fewer problems from curious border and customs officials. Indeed, safety may be a factor, since in many parts of the world, a U.S. passport can make you a target for harm. Take, for example, one lady I assisted. Using the Italian citizenship by ancestry law, she now has an Italian passport. That gives her full rights to travel, live, and work in any of the 28 EU countries. Similar citizenship by ancestry laws are available in Ireland, Poland, Hungary, Greece, and Lithuania—all EU member states. A second passport can open doors previously closed to you. Best of all, a second citizenship/passport can serve as the key to reducing your taxes and protecting your assets—or even saving your life. But be careful; don’t become a victim of passport fraud. A decade ago, only two nations issued immediate citizenship—the Commonwealth of Dominica and Saint Kitts & Nevis. In recent years, however, they were joined by a growing group of countries offering “passports for sale,” some of highly questionable value. Rule one: The single most important consideration when judging an alternative citizenship and a second passport is whether both are fully legal. That may seem obvious, but the proliferation of fly-by-night, passport-fraud operations—especially on the internet—means you require caution and full facts before you make second passport decisions. The passport you consider must command widespread acceptance and prestige in the international community. If it’s questioned by other countries, it is worthless from the start. 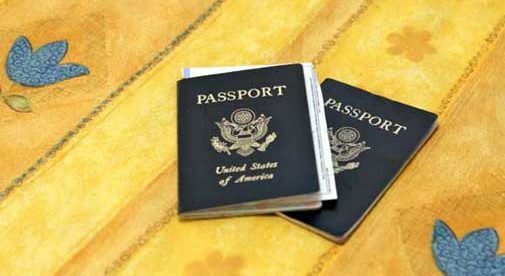 In this age of instant communications, it takes only hours, certainly no more than a few days, before customs and immigration officials worldwide know when an individual passport is called into question. Internet passport fraud sites never list their physical address or the names of persons behind them, using false addresses and phone numbers filtered through fraudulent operations. They usually ask for a large upfront fee, then either never deliver, or delay fulfillment. Bear in mind that the passports of any country offered for sale must be official and from the government. Be certain third parties claiming the power to sell them are authorized. Rule two: Employ an experienced attorney in your own nation and/or in the intended country—reputable professionals who specialize in immigration and related matters. They know the legitimate shortcuts and the involved foreign-nation officials. That can speed up your application and approval process considerably.